We couldn’t pass up the opportunity to tell you how thrilled the family is with our new Saltwater Aquarium. Having been undecided for a very long time about whether or not we wanted to take on the responsibility of caring for a saltwater aquarium, when I read on your website that you were offering a system without filters that was practically maintenance-free, I was sold. The COTS staff worked efficiently and courteously during the installation, and we couldn’t be more pleased with the final result. We are thrilled with the choice of cabinetry and the fish and coral selections. Our family room has now become the most popular room in the house. Thank you Creation of the Sea for a job well done! 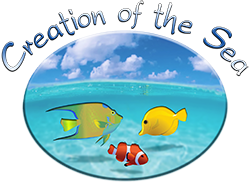 Copyright 2013 - 2019 Creation of the Sea, LLC. All Rights Reserved.